Pune (Maharashtra) [India], Mar 10 (ANI): BJP MP Sanjay Kakde on Sunday expressed his willingness to join the Congress party, citing lack of respect from the local BJP leaders. 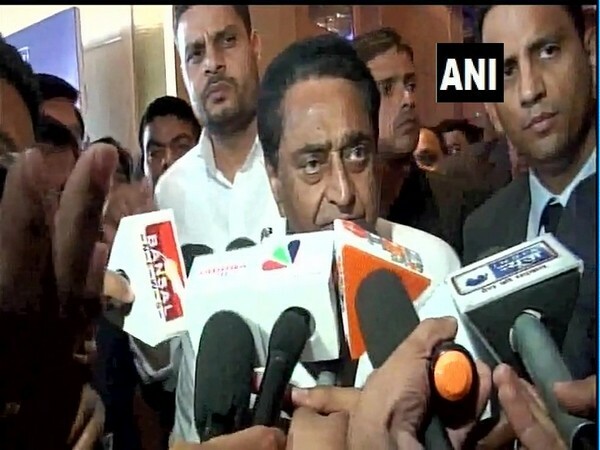 Bhopal (Madhya Pradesh) [India], March 9 (ANI): Efforts are on to establish a Band Training School at Chhindwara, which will produce professionals for playing bands at marriages and other functions across the country, Madhya Pradesh Chief Minister Kamal Nath said on Saturday. Wellington [New Zealand], Feb 6 (ANI): India ODI skipper Mithali Raj is keen to avoid playing in the Qualifiers and with her side’s victory over New Zealand in the recent away ODI series, the chances for the ICC Women’s Cricket World Cup 2017 finalists has bolstered. Thrissur (Kerala), India (Jan 26) ANI: The world had given up on India around five years ago, however, today the world wants to come here and invest, said Prime Minister Narendra Modi on Sunday at Thrissur, Kerala. Davos [Switzerland], Jan 23 (ANI): Andhra Pradesh lounge set up at the 49th Annual meeting of the World Economic Forum (WEF) has turned as a centre of attraction for global delegates with the display of innovative methods and technology being used for development of the state. New Delhi [India], Dec 4 (ANI): India and Bhutan share very extraordinary ties of friendship and New Delhi is looking forward to strengthening trade and economic relations with Thimphu, Foreign Secretary Vijay Gokhale said on Tuesday. New Delhi [India], Dec 03 (ANI): The Indian Navy is keen to have a third aircraft carrier, while being in the process of inducting 56 warships and submarines to augment its maritime capabilities, Naval Chief Admiral Sunil Lanba said here on Monday. Washington DC [USA], Nov 17 (ANI): United States President Donald Trump on Friday asserted that China is eager to make a deal with the US, amid a bitter trade tiff between two of the world's largest economies in the past few months. New Delhi [India], Oct 30 (ANI): Italian Prime Minister Giuseppe Conte on Tuesday said that Rome is keen to collaborate with the Centre's 'Make In India' flagship programme in key sectors such as Defence, research and development, renewable energy and science and technology. New Delhi [India], Oct 7 (ANI): The Russian Army is "very keen" on associating with the Indian Army, said Army Chief General Bipin Rawat on Sunday while stressing on the independence of Indian policymaking.